The addon-file-editor (consecutively abbreviated AFE) enables you to view, edit, delete, create, upload, unzip or backup files of installed Add-ons such as modules, templates or languages from the WebsiteBaker CMS backend. 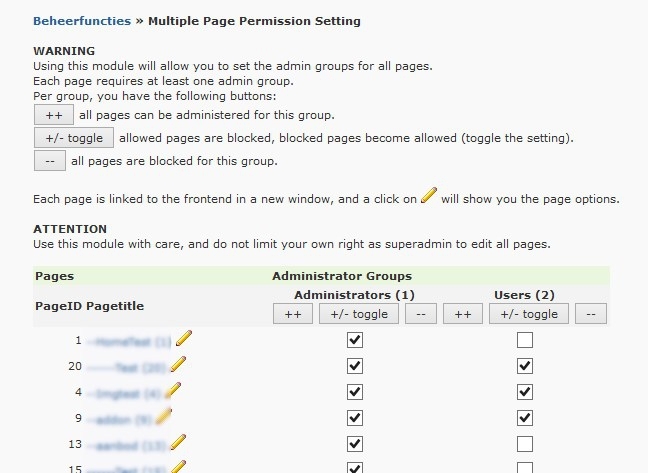 This admintool allows you to create up to 15 pages with one click. 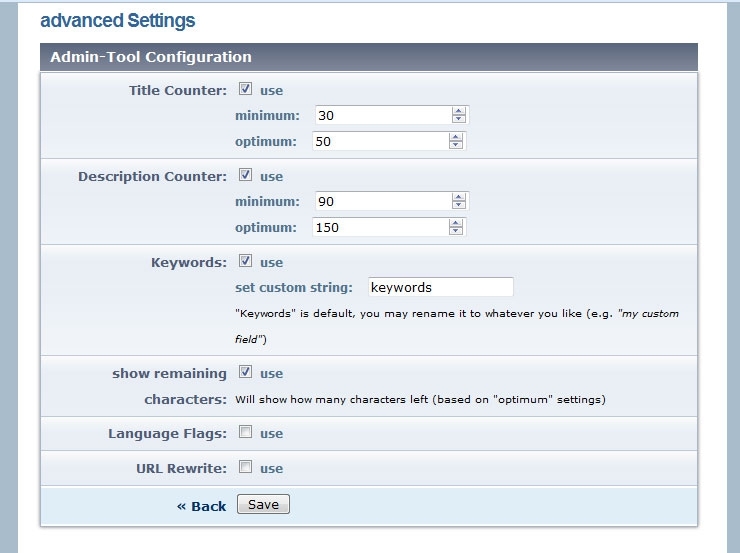 The WB SEO Tool helps you with basic on-page SEO adjustments. Droplets are small chunks of PHP code which will act like a comfortable kind of Search&Replace output filter. 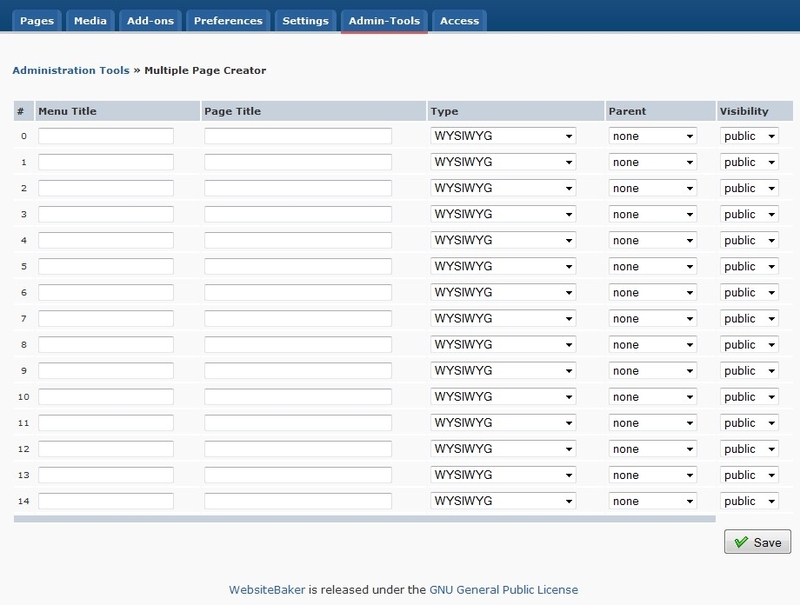 They can be used by a simple call in just about any place in the HTML output of WebsiteBaker CMS. 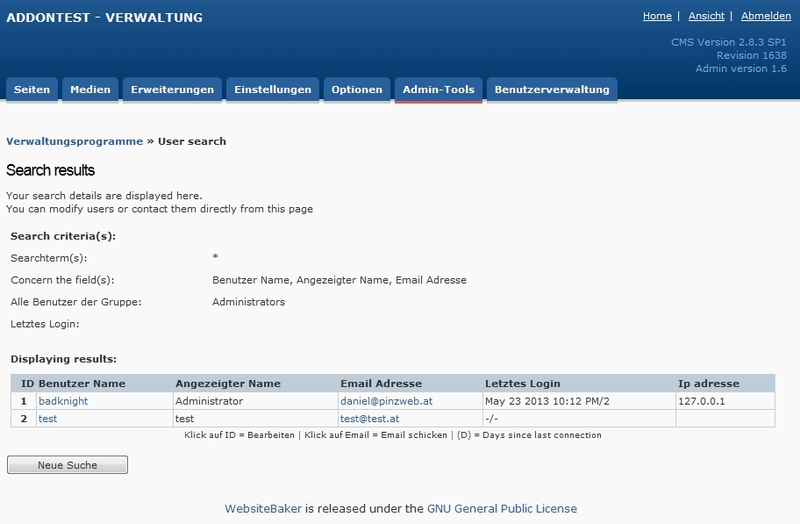 This module provides a search function for the user management. 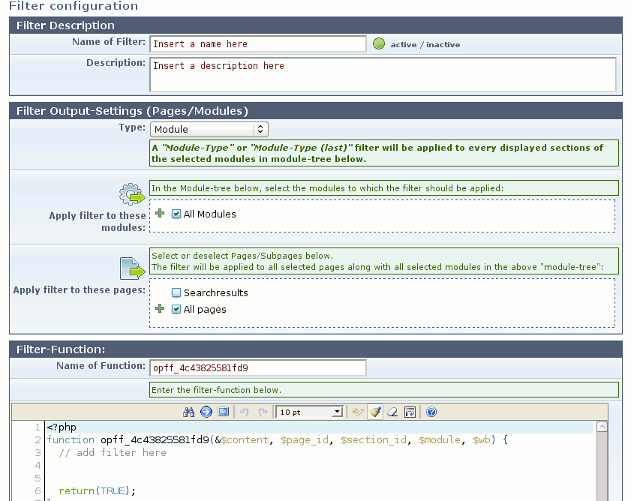 This module allows to filter the output before displaying it on the frontend. Support for filtering mailto links and mail addresses in strings.